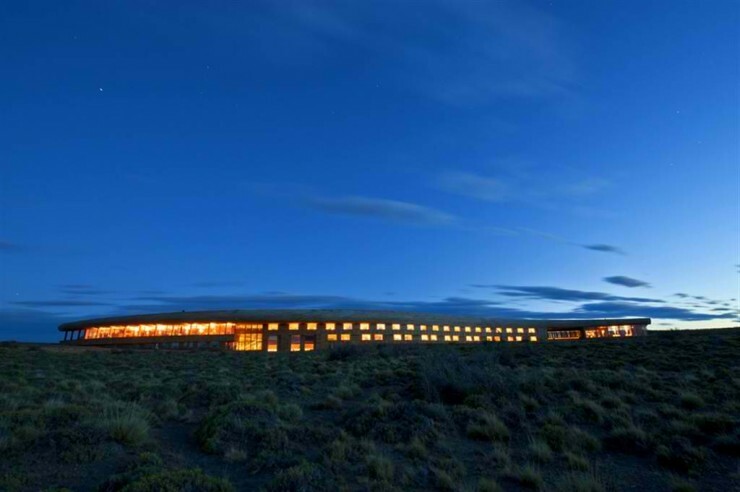 Hotel Tierra Patagonia. 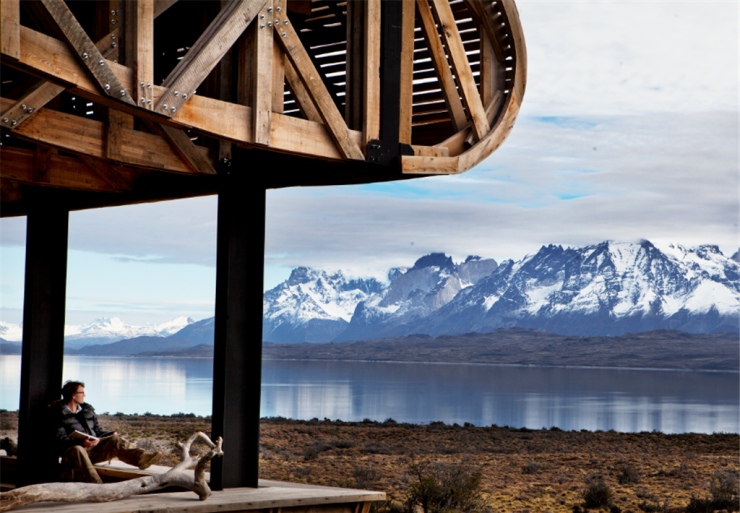 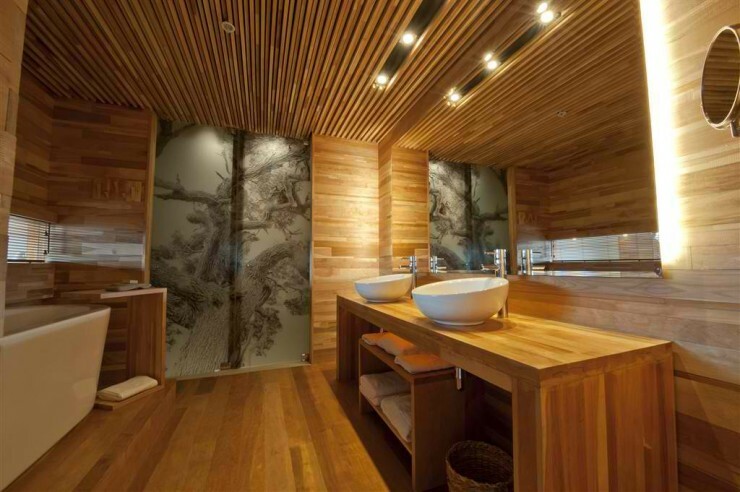 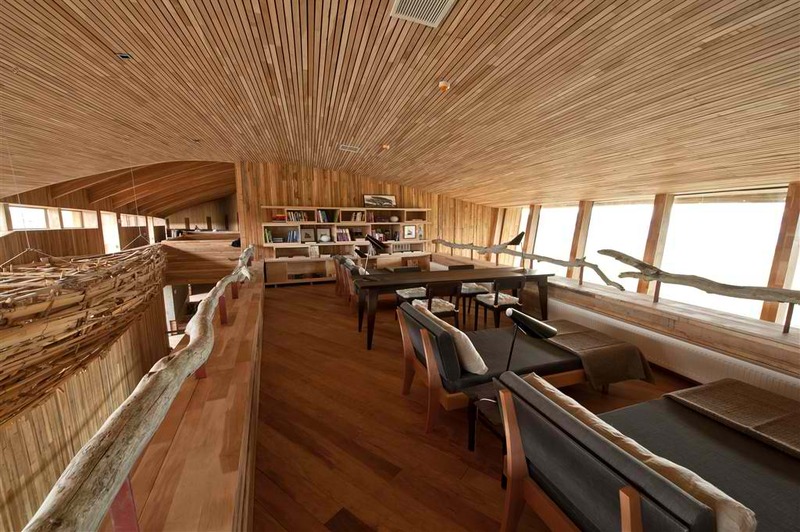 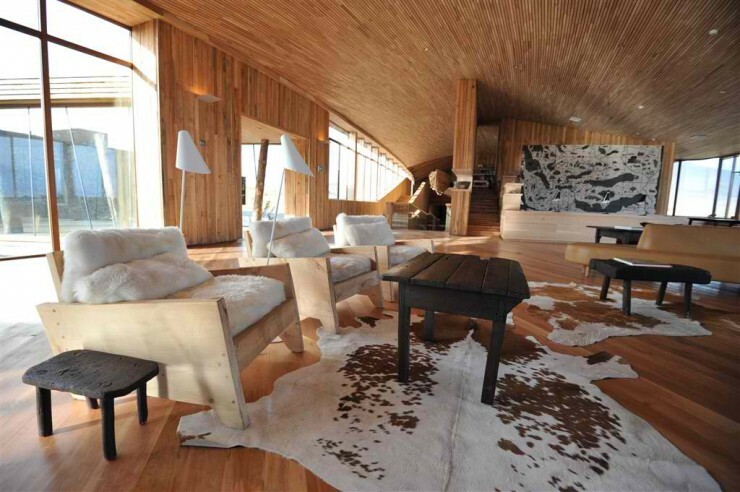 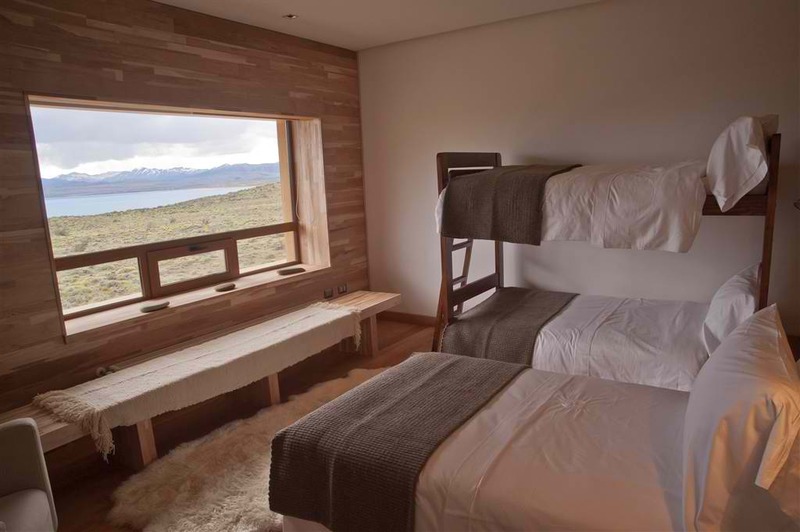 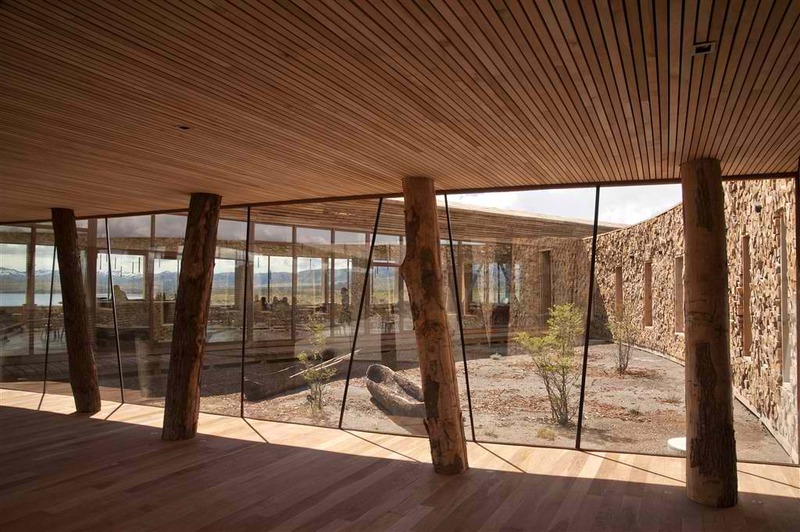 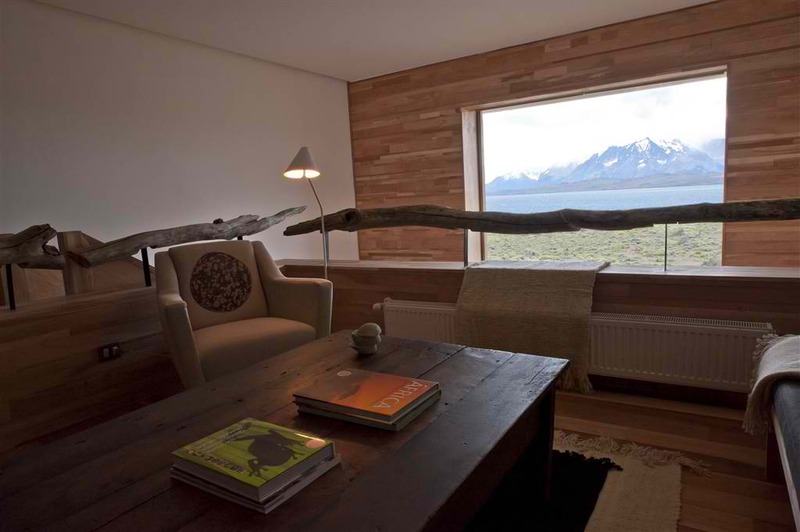 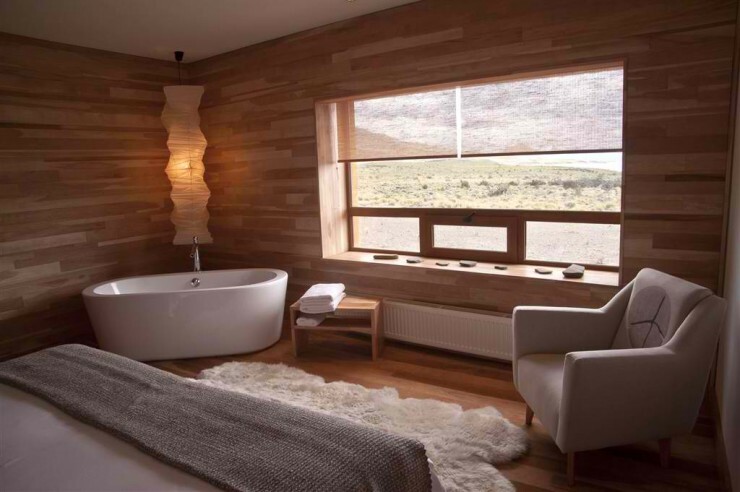 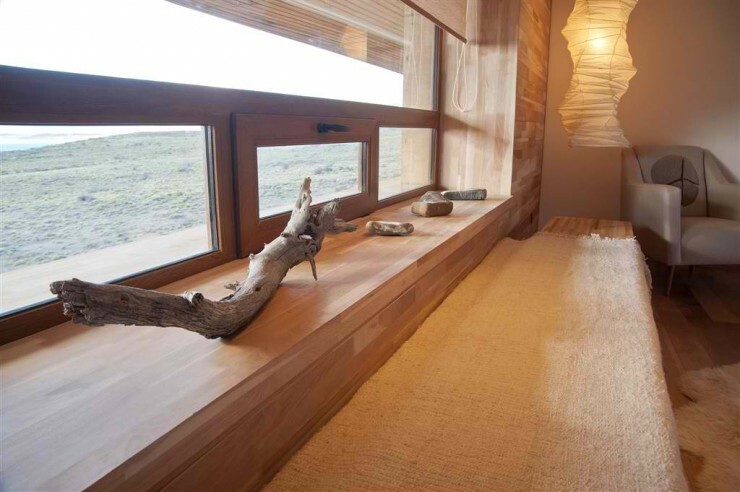 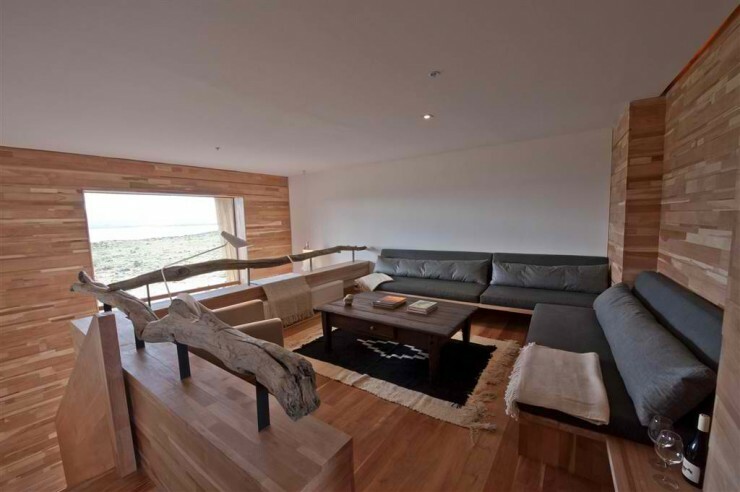 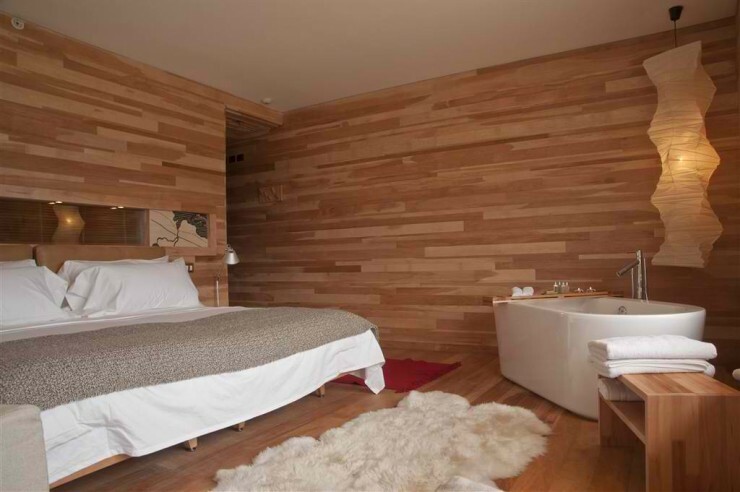 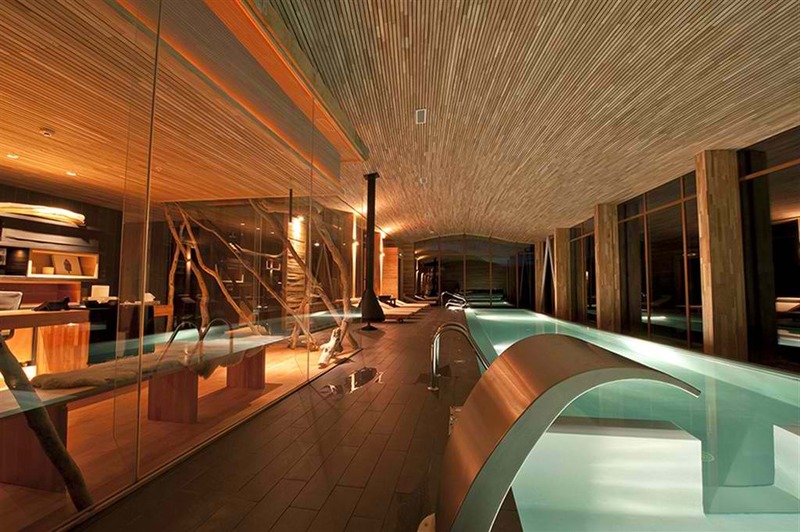 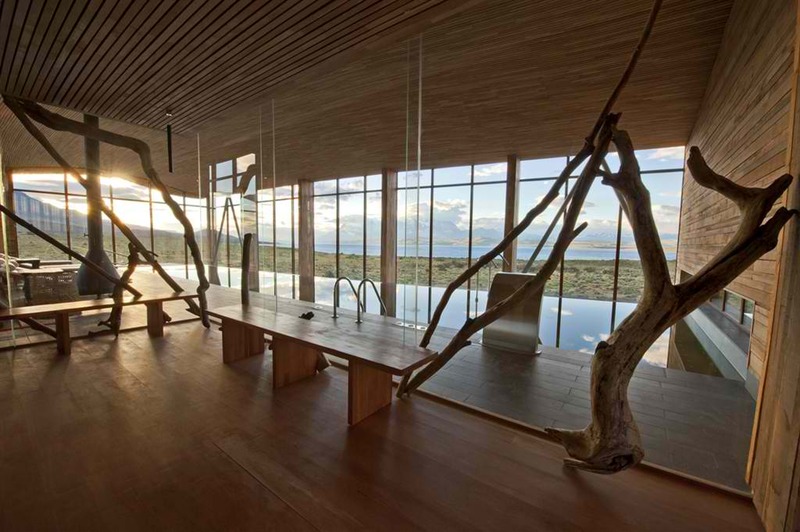 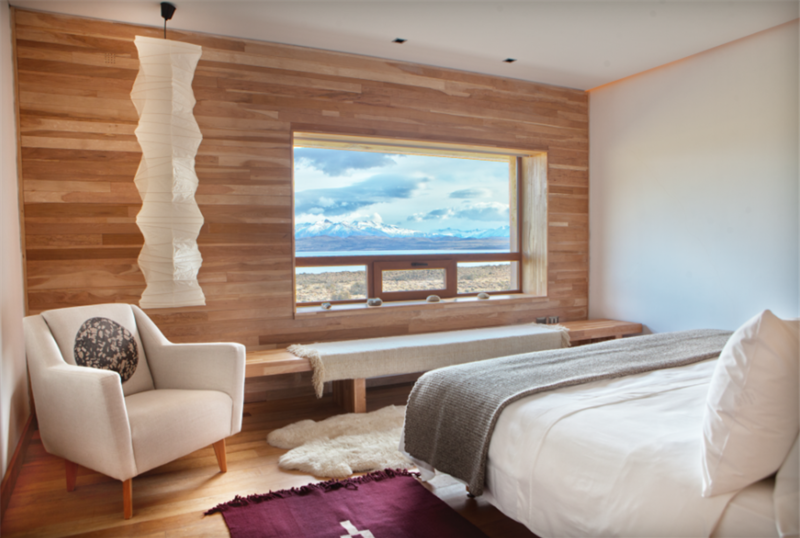 Inside, wood clad walls emanate warmth, safety and protection – a cozy hideaway after a day spent discovering the amazing Patagonian outdoors. The essence of the interior decoration mirrors, furnishings and textiles were hand made by Chilean craftspeople, using natural materials from the region, high quality workmanship and inspiration from the surrounding estancias as well as the influence of the native Tehuelche people. 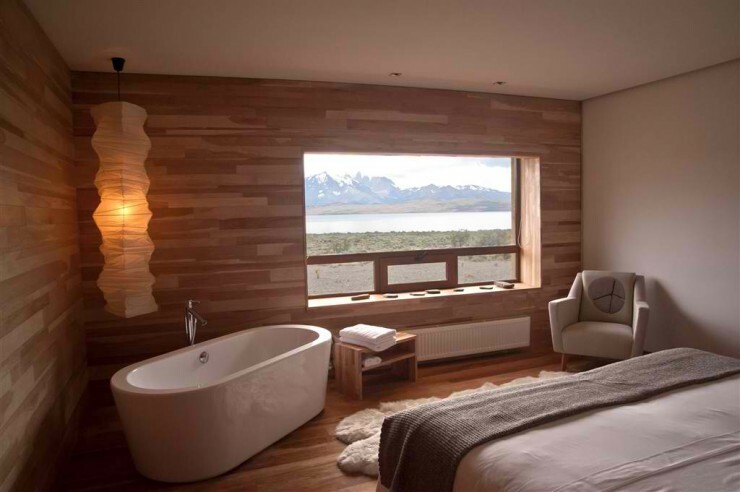 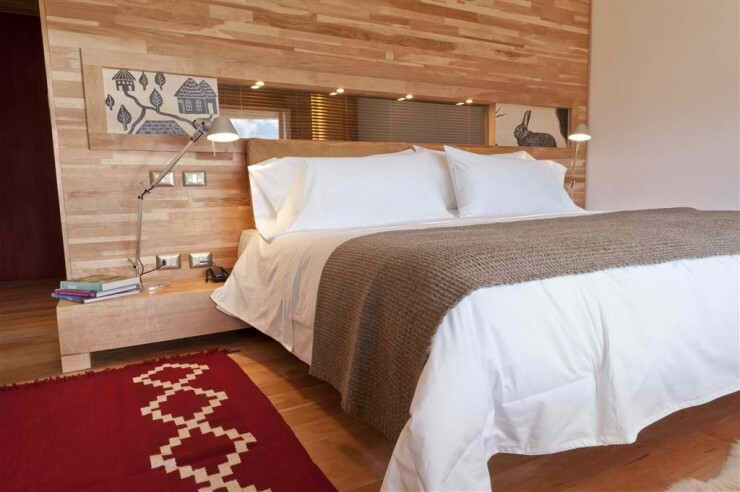 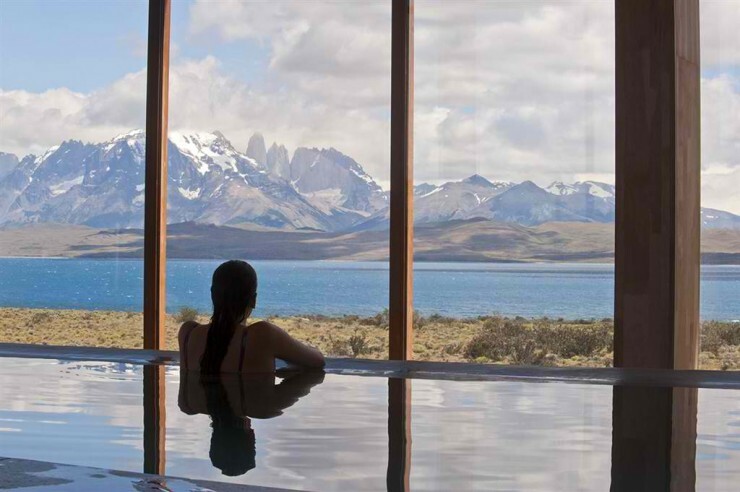 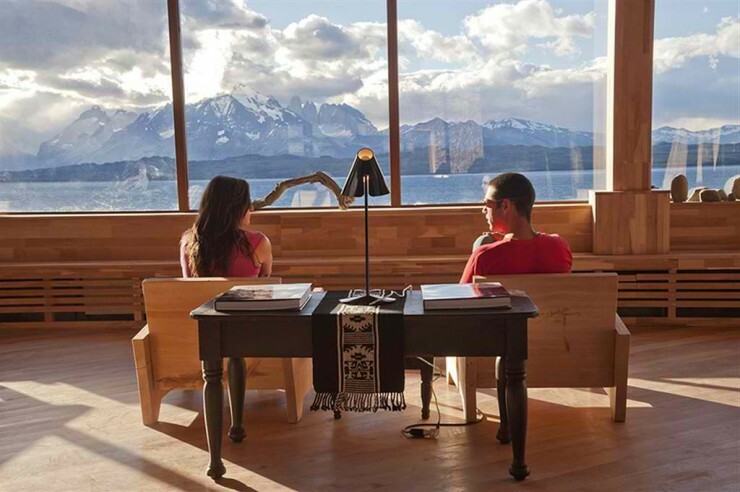 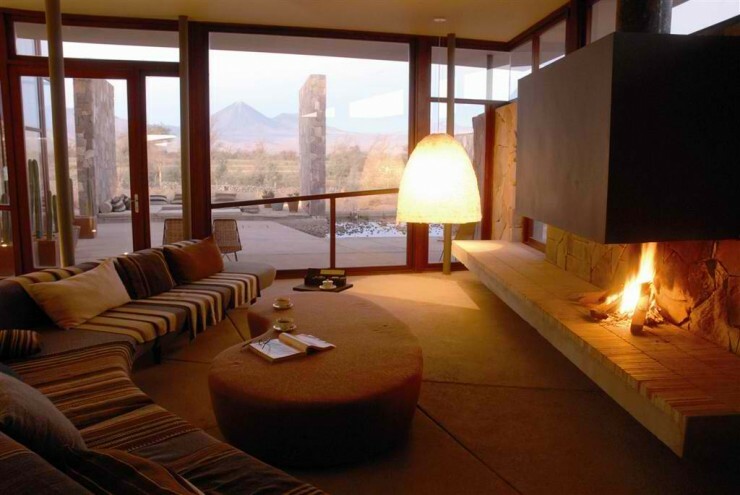 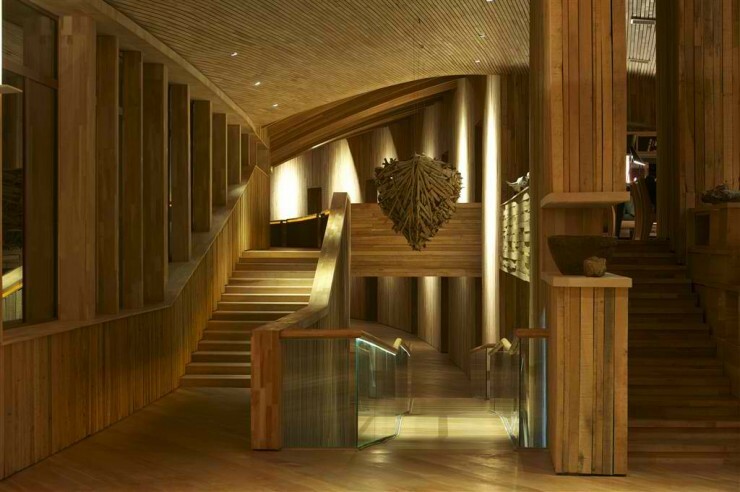 The ambience of Tierra Patagonia is casual and friendly, the different spaces created by the designers mean that guests can mingle and get to know one another or find a quiet corner to relax and get away from it all. 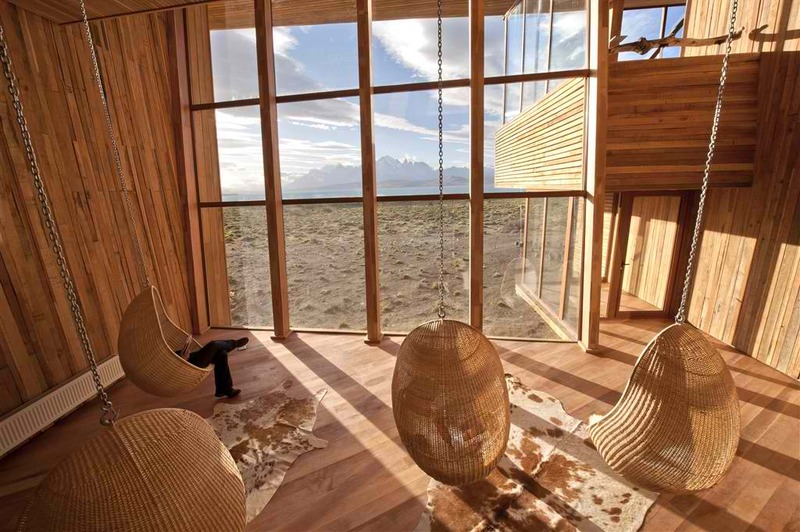 There is something truly delicious about curling up on a comfortable sofa with a lap blanket, a book and a glass of wine and then forgetting about the book and just staring out the window at one of the Earth’s most sublime places.